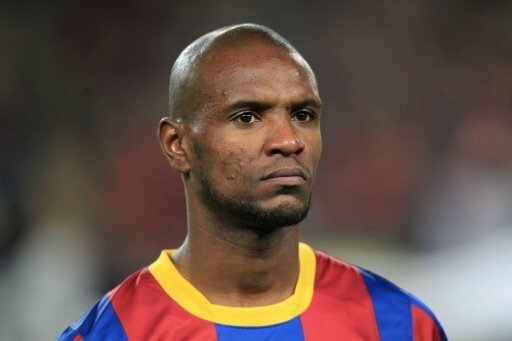 Barcelona defender Eric Abidal has announced in a press conference this morning that he will be leaving the club at the end of the season when his contract runs out. The former France International will play his final game at the Camp Nou on Saturday evening against Malaga before departing for pastures new. He has battled with cancer over the past years, and recently recovered from a liver transplant, where it looked like the left back would retire from professional football. Abidal confirmed he wanted to stay on at the club, and looks set for a return to France, potentially with newly promoted AS Monaco. Barcelona president Sandro Roselli confirmed that a role would always be open to Abidal for a return to Camp Nou in technical role, should he choose this avenue once retiring. He will turn 34 in July, and the full back has won 15 trophies in his six year spell with the club.